I landed this morning at Schiphol after a dynamic and inspiring visit to our AFKL team in Stockholm yesterday. 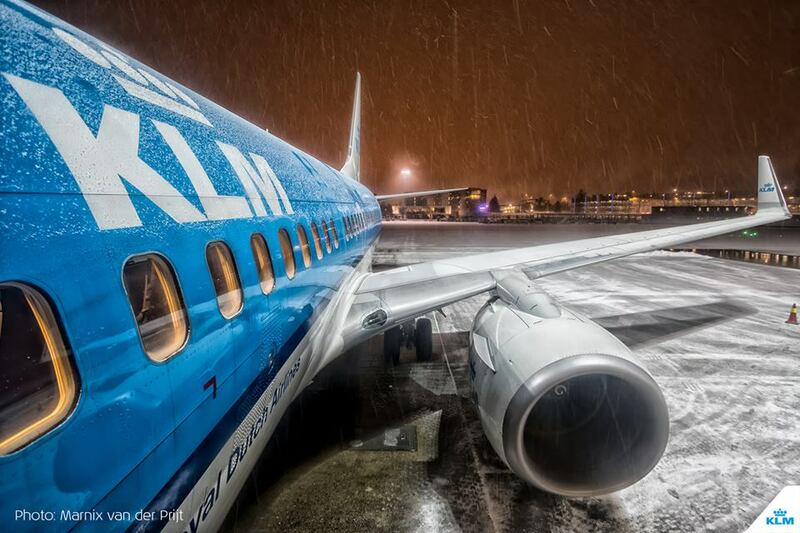 "The Nordics are a traditional stronghold of the KLM network!" We service 15 online destinations in 4 online countries: 61 flights daily by KLM, 22 flights by Air France and daily flights by Delta Airlines. For the year 2018 KLM expects to welcome a total of 4.5 million passengers of which half will be sold in the Nordics region. Despite the fact that Gulf carriers and Norwegian Air also pursue ambitious growth strategies in the region, KLM has been able to grow its passenger numbers by 20% over the last 4 years. For some of the smaller communities in these vast geographical countries, our KLM flights via our hub are literally a window to the world. A very unique position in which flight connections enable commercial, educational and cultural exchanges. The upcoming opening in May of a daily KLM flight to Växjö in Sweden is another demonstration of this successful strategy. The team prepared a full, yet very insightful and dynamic program for me. It was great to see all the commercial and operational initiatives the local AFKL team has taken. The lunch with top Platinum and Ultimate customers provided me with valuable feedback on their experience with our product. We spoke about several examples of personal attention by the KLM crew: a handwritten card from the cabin crew and the pilot coming out of the cockpit in case of disruption, and personally and visibly informing our passengers. This proves that seemingly small interactions by our crew eventually make the difference for our passengers; creating memorable experiences. They also commented on some operational and product improvements like: the smooth transfer at Schiphol, fleet and product improvements and digital enhancements we offer. Exactly the combination of these factors really make us stand out vis-a-vis the competition. Teamwork makes dreamwork! The stunning nature and commitment to preserve it, by both government and population, put CSR also high on the agenda in the Nordics. The initiatives KLM has developed in the past few years when it comes to Biofuel and CO2ZERO are well appreciated here. Clear and understandable communication on this is key. To put it even stronger: defining an adequate CSR policy and embedding it in the company practices progressively becomes “a licence to operate”. We, as an airline, have an important responsibility to embrace this development and see it as an opportunity to continue to pioneer also in this field. The Area Europe organized a “marketing campaign contest” last year wherein European AFKL establishments were competing to develop the best branding campaign for the respective brands locally. Competition creates creativity and that’s exactly what happened here too. The team in the Nordics won with a nice concept of branded sneakers to “explore Amsterdam” by foot. Healthy, enjoyable, fun and of course fully CSR proof. See video above. I will proudly wear the pair which I so kindly received, this coming weekend. Filled with new ideas, follow-up points and insights of these interactions locally, I return to Amstelveen. Thank you NORDIC AFKL team for this inspirational visit!